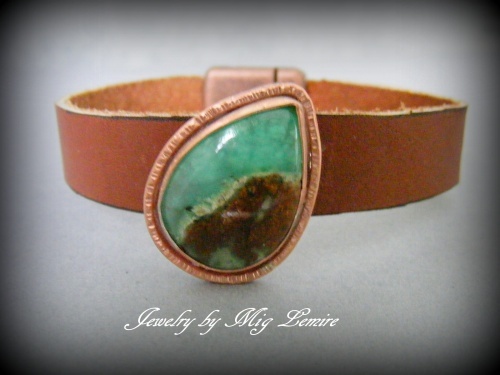 This gorgeous Green Bio Chrysophase focal gemstone matches perfect with the brown leather band. Soldered to a copper backing and adorned with hand hammered wire frame. Strong magnetic copper clasp. Measure 7 1/2".